During the first ever Constitution Day celebrations on 26 November 2015 in Parliament, the ignorance of some members of parliament from West Bengal about the election of Dr B. R. Ambedkar to the Constituent Assembly in 1946 was deplorable to say the least. His election forms a memorable chapter, marked by tension, lawlessness and violence in the streets of Calcutta, besides illegal confinement of a supporting MLA by opponents of Dr Ambedkar. The Indian National Congress had waged a hidden war, turning the whole of India against his entry into the august house that was to draft the Constitution of the newly independent nation. Sardar Vallabhbhai Patel led the charge against Ambedkar by publicly proclaiming that “apart from the doors, even the windows of the Constituent Assembly are closed for Dr Ambedkar. Let us see how he enters into the Constituent Assembly”. At stake was the fate and fortune of 60 million untouchables. The Congress Party, then holding a session at Bombay, fielded its most crafty strategist and manipulative leader, Kiran Shankar Roy, to frustrate all efforts of Ambedkar for victory from Bengal. This showed their aversion against Ambedkar. The intellectual Bengali bhadralok had no appreciation of him. The inherent significance of the proverb “pride goes before a fall” did not take time to manifest itself. The Dalits of Bengal inflicted a humiliating defeat on the “iron man of India” in his own arena. In all, seven Members of Legislative Council of Bengal – four Namasudra, two Rajbanshi and one Tribal – created history. 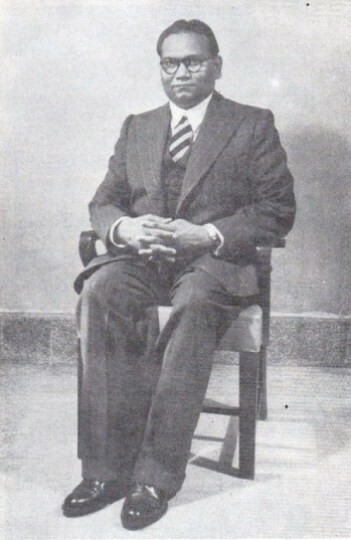 In a rare display of political sagacity, determination and commitment, Jogendra Nath Mandal, a Namasudra lawyer of district Barisal (now in Bangladesh), invited Dr Ambedkar to contest the election to Constituent Assembly from the Jessore-Khulna constituency in eastern Bengal when he could not secure nomination from Bombay. Mandal was the solitary member of Legislative Council from the Scheduled Caste Federation (SFC) established by Ambedkar, who by then had earned unalloyed hatred of the entrenched upper social strata for his intelligence, scholarship and research reflected in his innumerable writings. They were not only deeply embittered and dismayed but were rendered defenceless, unable to counter his scholarly enunciation of sociopolitical and administrative issues. All his works that the Hindus hated were already available in the public domain in print. Ambedkar had dissected caste, social consequences and its ramifications like a skilled surgeon, pinpointed their orthodoxy and morbidity and shaken up their belief in the pernicious Chaturvanrnavyavastha, ridiculed their belief in transmigration, their gods and avatars, including Rama, Krishna, etc. 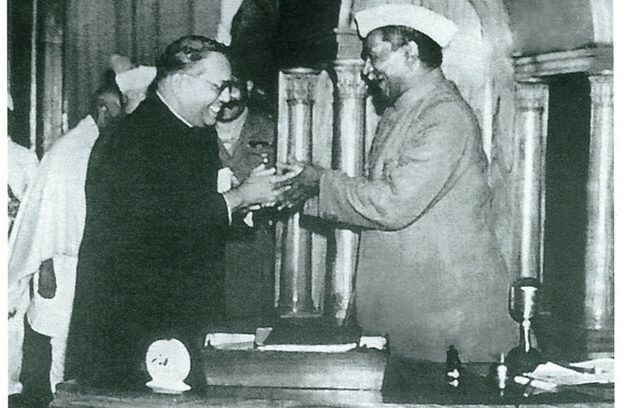 His pen did not spare Gandhiji, who nonetheless observed that, “Dr Ambedkar has every right to be bitter. That he does not break our heads is an act of self-restraint on his part.” Even his bitterest enemy would admit that Ambedkar did not put out an illogical argument, launched any immoral attack or used an undignified word against his opponents – a rare quality among the political class. His forte was always sound logic based on facts, weighty arguments and a liberal outlook. He hated and attacked orthodoxy, superstition and morbid rituals. The Constituent Assembly had 296 members, of whom 31 were Dalits, all elected by provincial legislative assemblies. Ambedkar’s home province, Bombay Presidency, did not pick him. Under a Congress fiat propelled by prejudice and vengeance, Bombay premier B. G. Khare ensured Ambedkar’s defeat in the election to the Constituent Assembly. The Cabinet Mission, put together by British government to discuss transfer of power to an Indian leadership, did not take Scheduled Castes Federation (SCF) seriously. It wasn’t convinced that the SCF represented the aspirations and interests of the untouchables. According to Dr David Keane of Middlesex University, UK, the Cabinet Mission, on the request of the Congress President in 1946 “met the Congress Scheduled Caste representatives including Jagjivan Ram” who emphasized that “the Scheduled Caste masses considered themselves Hindus and their main disabilities were not religious or social but economic, with which the Cabinet Mission agreed.” This was the sweetest thing Hindu India wanted to hear from the untouchables (It still is). This established oppressors and tormentors of the Untouchables as their “heaven-born leaders”. This was contrary to Dr Ambedkar’s belief that social disabilities were the source of all the miseries of the Untouchables. The root of the problems of Scheduled Caste representatives either in Assemblies or Parliament was (still is) their mindless submission to upper-caste Hindu interests. Bitter realization of his irredeemable follies dawned on “Babuji”, as Jagjivan Ram is fondly referred, in the dusk of his career. He discovered that social disabilities were indeed the curse of the untouchables. A wealthy Untouchable is as much hated as a poor one because caste is Hindu’s religion. Dr Ambedkar had visited Calcutta to solicit support of the European members of the Bengal Legislative Council, who, sadly, though had already resolved to abstain from both participating in the election and supporting any candidate. Deeply disillusioned, he had gone back to Delhi. At this critical juncture, Jogendra Nath Mandal invited Ambedkar to contest the election from the Jessore-Khulna constituency of Bengal. The elections were due in just three weeks when Ambedkar returned to Calcutta to meet Mandal. Mandal proposed Dr Ambedkar’s candidature and Congress MLC Gayanath Biswas seconded it. Both were Namasudras. What prompted Jogendra Nath Mandal to take this step was the history of long, uninterrupted humiliation, exploitation, injustice and hatred suffered by the people of his caste. About 73 years earlier, in 1873, the Chandals (who in 1911 were redesignated Namasudra) of Faridpur, Barisal and Jessore had begun the first ever peaceful and non-violent movement in protest against the low social status in which they were held by upper castes. Their movement, officially described as “general strike” was a “novel state of affairs” that paralyzed the normal life of around 5.5 million. In January-February 1872, a rich and influential Chandal villager in Barisal had invited 10,000 guests, including Brahmins, Baidyas and Kayasthas, to a feast to mark his father’s “shraddha”. On the instigation of the Kayasthas, the upper castes rejected the invitation, triggering the path-breaking movement. The superintendent of police of Faridpur [now in Bangladesh] reported after a personal investigation that the “Hindus of the higher caste consider them [Chandals] only little better than beasts”. Every Hindu shared this reprehensible perception about the Chandals in Bengal. Besides, only the Chandals were made to work as sweepers while all other castes and communities enjoyed immunity. The unprecedented strike hit the Hindus as well as Muslims. The district magistrate of Faridpur who was required by the higher authorities to conduct another inquiry into the factors responsible for the widespread Chandal strike bemoaned that “this unfortunate race [Chandals], generally despised”, was “a hardworking, patient, uncomplaining people with none to say a good word for them”. They were, he further noted, “working as boat-builders, carpenters, fishermen, and watermen generally and in all trades they excel, being strong, able-bodied, patient and painstaking”. Such men, who merited the “most valuable human resource” tag in any society in any clime, were subjected to unbridled caste-based hatred in Bengal. The Chandals were “abused and ill-used”. The magistrate himself did the impact assessment: “a large body of Hindus and Mohammedans came up to complain to me of the ruinous effects to them arising out of the action of the Chandals”. The actual assessment is still to be attempted. Their peaceful strike and passive resistance had hit their oppressors hard. The method the Chandals adopted was still unknown to mankind, let alone Indians. The would-be apostle of peace and non-violence Mohandas Karamchand Gandhi was born barely three years earlier. The word “boycott” entered the English lexicon seven years later in 1880. Twenty-one years after the path-breaking Chandal revolt, in 1894, Leo Tolstoy enunciated and published his noble concept of non-violence in his outstanding work The Kingdom of God is Within You that shaped Gandhi’s ideas and his method of Satyagraha. In 1860, John Ruskin wrote Unto This Last, which Gandhi read in 1904. It is preposterous to believe that the illiterate Chandals were influenced and inspired by any of these great writers and philosophers in resorting to a peaceful and non-violent strike in 1873 against the Bengali upper-caste Hindus. The Muslim League had extended moral support to Ambedkar in the election. The victory of Ambedkar in the election of 1946 is fully attributable to the unity, fraternity and solidarity of the Namasudra community and the backward classes of Bengal. 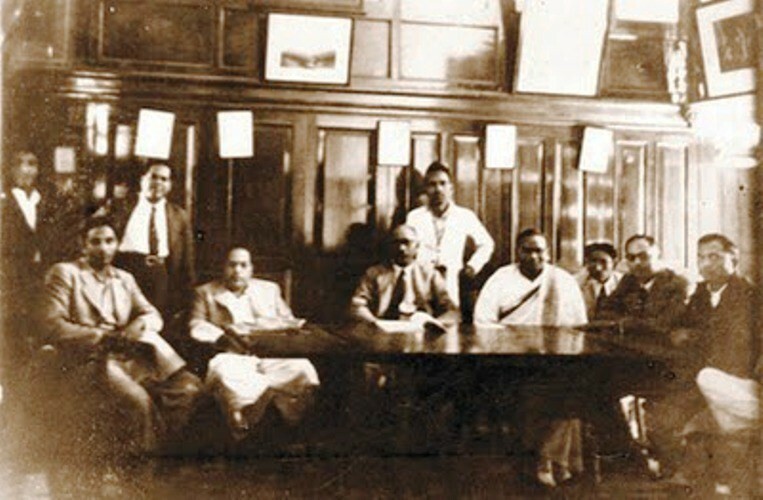 On 21 January 1929, the All-Bengal Namasudra Association and All-Bengal Depressed Classes Association under the leadership of Mukunda Behari Mallick jointly deposed before the Simon Commission and testified. The All-Bengal Depressed Classes Association had in writing intimated the commission in Calcutta that they were “in general agreement with the suggestion” of the All Bengal Namasudra Association and “we adopt the same generally”. Such was friendship and solidarity between the victims of caste injustice and oppression. Eighteen years later, they would jointly clinch a victory by electing Dr Ambedkar to the Constituent Assembly that promised to usher in a new era in their life. It is another matter that their dreams remain unfulfilled. According to Japanese scholar Prof Masayuki Usada, “Ambedkar was found to be elected by the greatest majority. This is dealt as a mere episode as well as a matter of course in Ambedkar biographies. Yet it has not come to a pass without the dedicated canvassing of the educated youth of the Bengali scheduled castes.” It is no surprise that Indian intelligentsia has turned a blind eye to this phase of Ambedkar’s political life. An army of energetic and patriotic Namasudra youths, including Apurba Lal Majumdar, Raskilal Biswas, Chuni Lal Biswas, Manohar Dhali, Rajkumar Mandal, Kamini Prasanna Majumdar, Sashi Bhusan Halder, Upendranath Mallick, Dr Swarnalata Maitra and Bina Samaddar, from various parts of Bengal vigorously canvassed and campaigned for Ambedkar and ultimately turned the table on the Congress party. Interestingly, Congressmen kept Gayanath Biswas in illegal confinement so that he wouldn’t reach the Legislative Council for voting. But he was rescued in the nick of time. Ambedkar’s victory from Jessore-Khulna constituency made him the solitary political leader with an all-India appeal. No one else save Ambedkar could go beyond his/her home province to stand for the election. Ambedkar’s election with the “greatest majority” must be viewed in the right perspective. Sarat Chandra Bose had polled six votes as against seven by Ambedkar. This was the largest numbers of votes polled by any candidate in Bengal. The former was a towering Congress leader and the elder brother of Subhas Chandra Bose, whose patriotism is legendary. On the day of election, violence broke out in the streets of Calcutta. Scheduled Caste Sikh supporters of Ambedkar with swords alongside Namasudra volunteers countered the lawlessness and violence unleashed by Hindu elements! 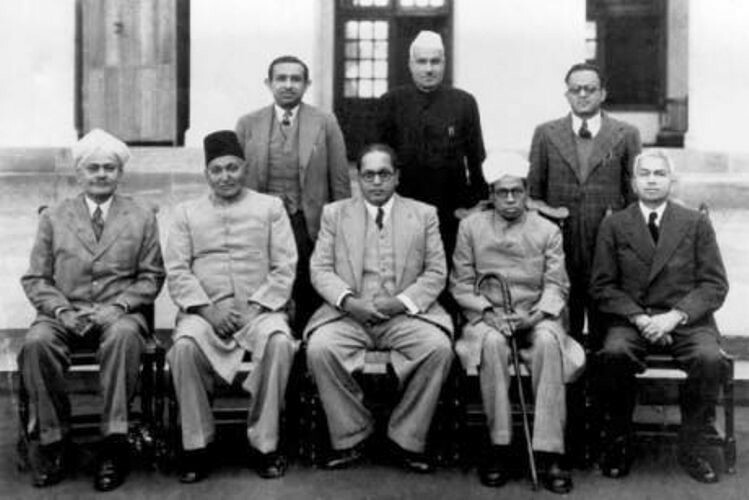 The Scheduled Castes in general and the Namasudras in particular knew the high stakes involved in the election of Ambedkar to the Constituent Assembly. Sardar Patel broadcast the psychological aggression of the Indian National Congress against the Untouchables. The leading political party had no problem doing so with 29 Scheduled Caste Members elected on its tickets. If Untouchables were malleable, the Congress leaders nursed no apprehensions. The elastic docility of the Untouchables made them delicious lambs for the hungry tiger. With his vast knowledge, selfless sacrifice for the downtrodden and tireless struggle against inequality, discrimination and injustice, Ambedkar made a profound difference and his political adversaries and social opponents could nothing about it. Ambedkar had expressed his strong unhappiness and disappointment against the position Cabinet Mission had adopted with respect to the Untouchables. He made no bones about it. According to him, “they (untouchables) are bound hand and foot and handed over to the caste Hindus”. Here is a candid and critical comment on Ambedkar’s work and sacrifice. “The magnitude of [Dr Ambedkar’s] sacrifice is great. He is absorbed in his own work. He leads a simple life. He is capable of earning one to two thousand rupees a month. He is also in a position to settle down in Europe if he so desires. But he doesn’t want to stay there. His is only concerned about the welfare of the Harijans [untouchables].” This was not an admirer speaking. Gandhiji, his bitterest adversary throughout his life, had made this observation while addressing students in Karachi in 1934. By electing him to the Constituent Assembly Bengali Untouchables provided Ambedkar the platform that would make him known the world over as the Father of Indian Constitution. We can be sure that without him the Constitution would have been an amalgamated version of the laws of Manu, Yajnavalkya, Parashar, etc at the hands of bigoted and orthodox elements. Ambedkar precisely prevented such a dreadful catastrophe. The Bengali Untouchables and the MLCs of Backward Classes did the spadework to allow Ambedkar to take his lifelong struggles to the logical conclusion. When Bengal was partitioned following the legislation of India Independence Act 1947, the districts of Jessore and Khulna, which elected Ambedkar to the august house, became part of East Pakistan. The constituency Ambedkar represented thus no longer existed. Fortunately, Dr Rajendra Prasad, the chairman of the Constituent Assembly, had noticed his talent, knowledge and energy. He directed the Bombay premier B. G. Khare to have Ambedkar re-elected on a Congress ticket to fill the vacancy that had arisen by the resignation of Dr Mukund Ramrao Jayakar. Granville Seward Austin (1927-2014), an American historian and a leading authority on Indian Constitution, described the Indian Constitution drafted by Dr Ambedkar, as “first and foremost a social document”. Elaborating the point, he noted, “The majority of India’s constitutional provisions are either directly arrived at furthering the aim of social revolution or attempt to foster this revolution by establishing conditions necessary for its achievement.” If India were to undergo a social revolution, she would overnight become a modern, vibrant and liberal nation. But a microscopic section abhors social revolution, which would do away with caste, obscurantist elements and orthodoxy first. When the Constituent Assembly was grappling with task of drafting the Constitution for a free India, bigots were breathing furiously down the necks of fellow countrymen. In an article in Organizer, 3 November 1949 – three days before the Constitution was adopted on November 26 – Madhav Sadashiv Golwalkar (February 1906-June 1973) wrote: “In our Constitution there is no mention of the unique constitutional developments in ancient Bharat. Manu’s laws were written long before Lycurgus of Sparta or Solon of Persia. To this day laws as enunciated in the Manusmriti excite the admiration of the world and elicit spontaneous obedience and conformity. But to our constitutional pundits that means nothing.” He and his ilk wanted a rerun of the era of their venerated Manu. In early 20th century, the relations between the Namasudras and the Bhadralok in East Bengal deteriorated perilously. Bengali Hindu commentators were forced to acknowledge that “The Namasudras of Faridpur and Barisal have virtually declared a boycott against the Brahman, Kayastha and Baidya. There were possibilities of their being united with all other lower classes and if this happened, the happiness and honour of the higher castes would all be washed away.” Happiness and honour of higher castes precariously depended on the disunity of the various peoples they oppressed! This catastrophe of India being turned into a Hindu India was effectively and sharply pre-empted and scuttled by Dr B. R. Ambedkar. By securing victory for Ambedkar in the most crucial election that brought him to Constituent Assembly, the Namasudras, Rajbanshis and Advasis under the leadership of Jogendra Nath Mandal created a glowing chapter in history. They foiled and frustrated the machinations of the upper castes to browbeat the Untouchables. He got the foundation to bloom in the august house with charm, dignity and magnanimity and to show his scholarship and erudition. Those people who made it possible deserve the highest applause and appreciation but sadly, they have been forgotten. This chapter is not discussed in public for the fear of highlighting the Bengali chotalok’s towering contribution towards nation-building. Funny that you failed to State exactly what happened to that brilliant lawyer of Barishal after he had procured partition of Bengal for his master . Umm let me see didnt he come scurrying back to that very nation that you say had discriminated against him .